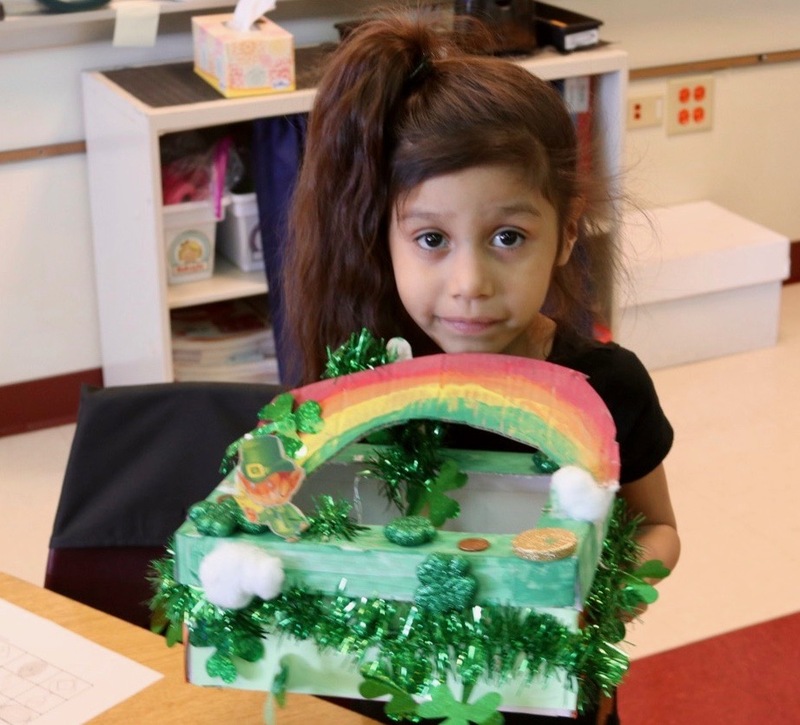 Everyone knows that leprechauns love gold. 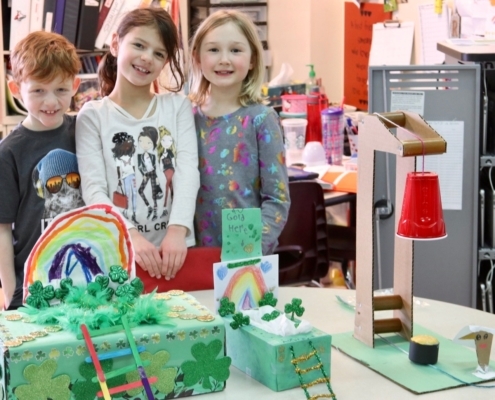 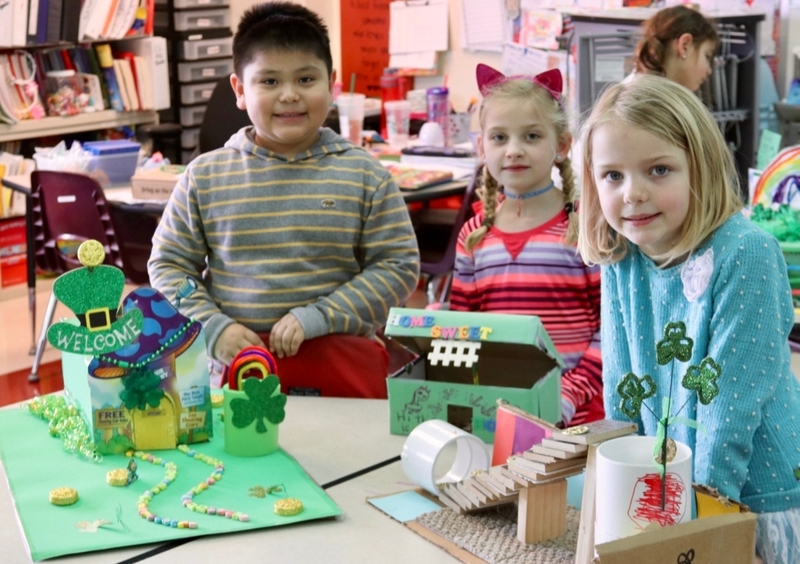 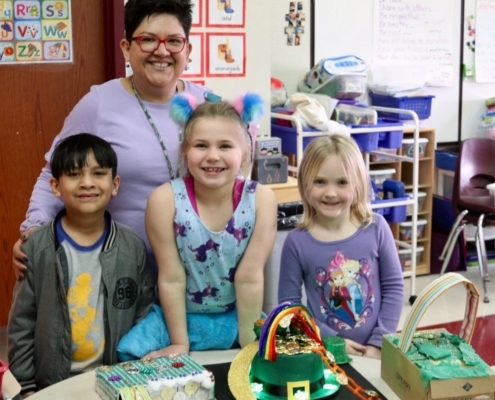 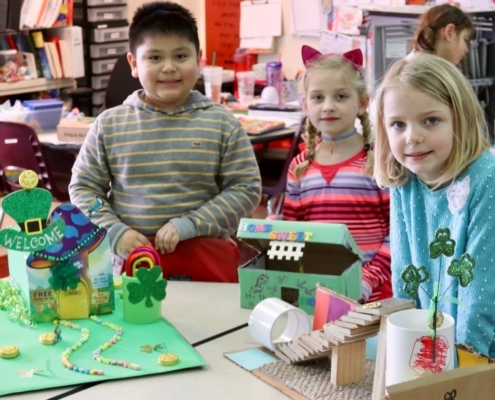 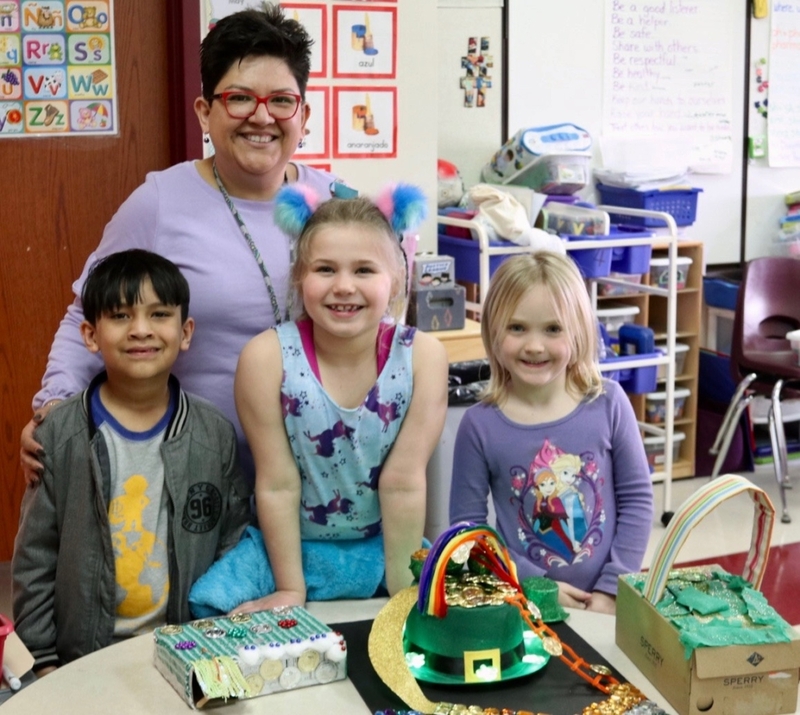 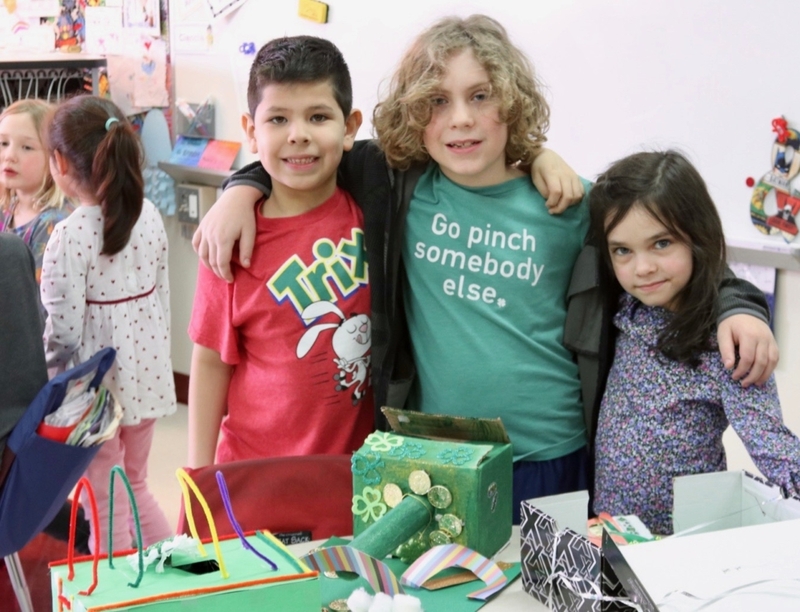 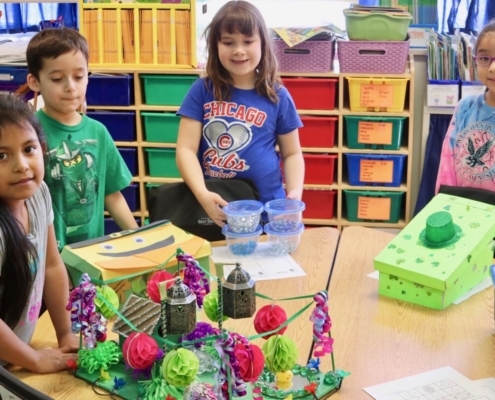 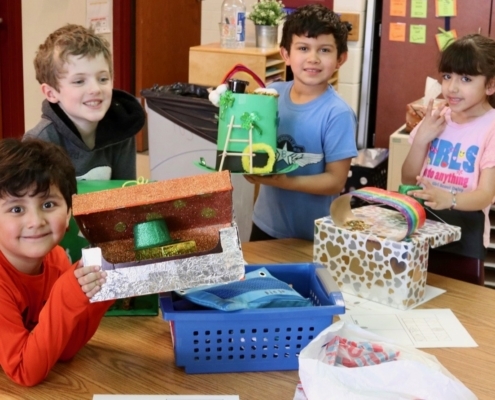 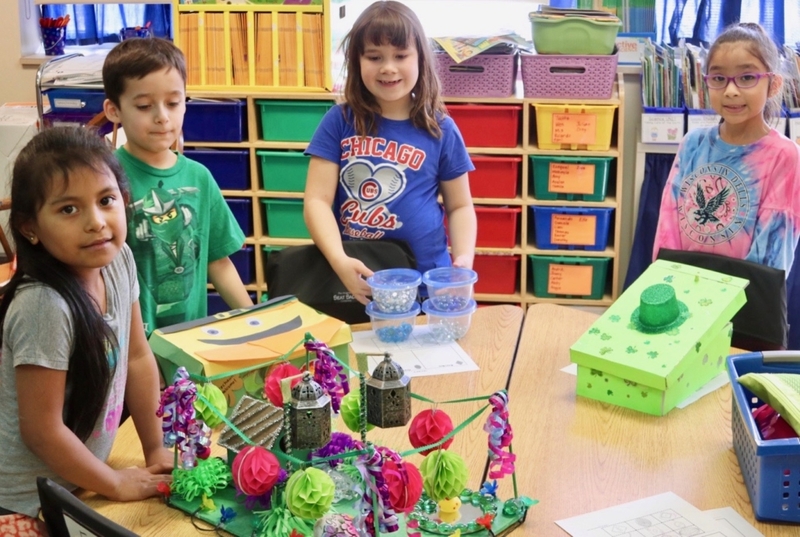 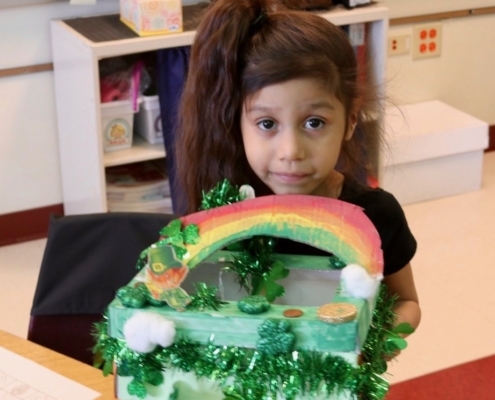 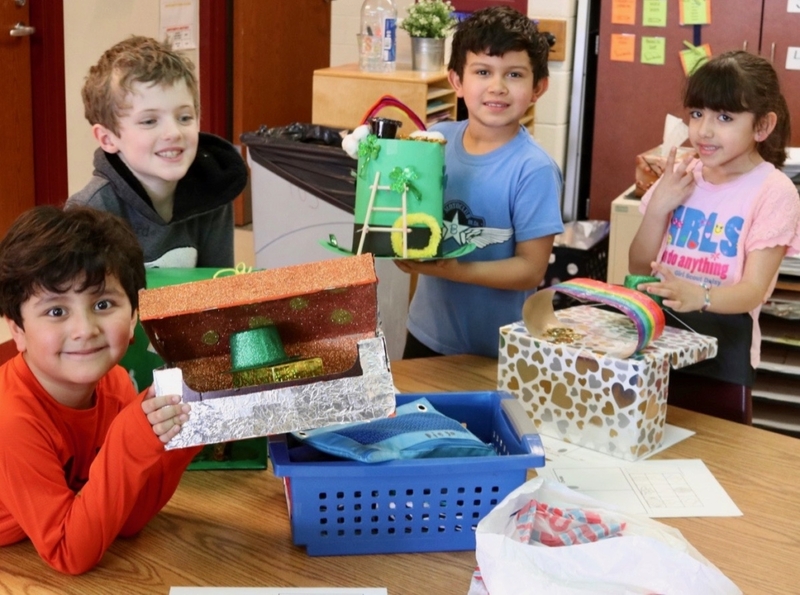 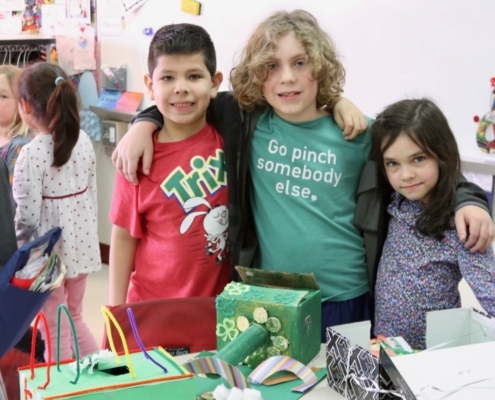 First-grade students at the School of Dual Language created colorful and decorative traps to catch the leprechaun using gold coins, rainbows, four leaf clovers and other objects. 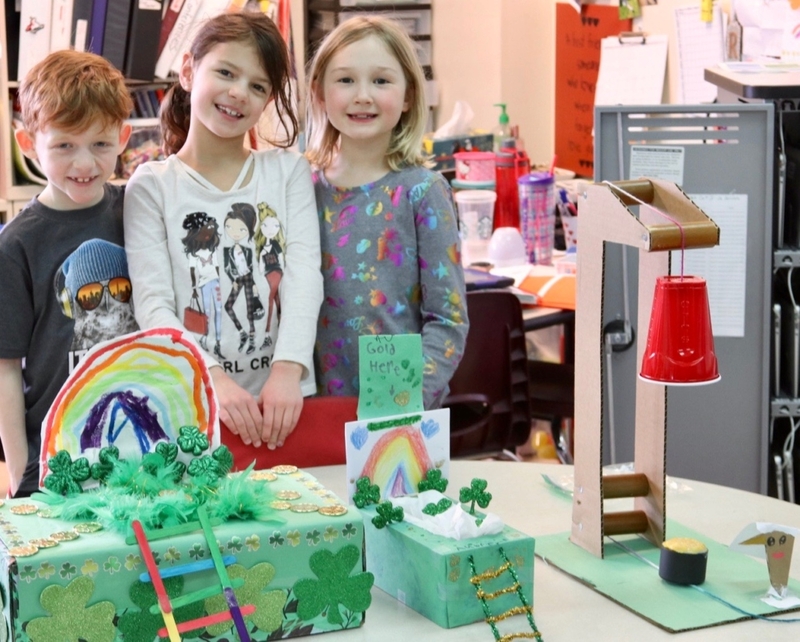 While it appears the leprechaun was once again too smart to be caught, this was a fun STEM project for the students and their families.